Can you name all the paper packets used here? Zoe certainly makes a standout performance, but the sharp-eyed among you will also be able to pick out the rich hues from Sangria and the soft patterns from Georgie. We’ve also mixed in some Eggplant and Juniper cardstock for good measure. 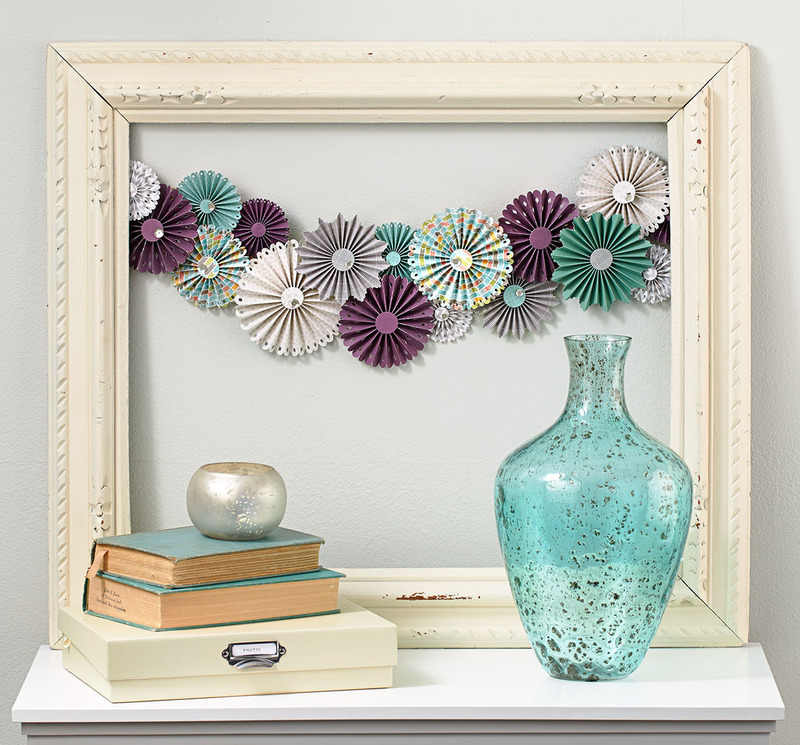 The end result is a paper garland that you can keep up year round. 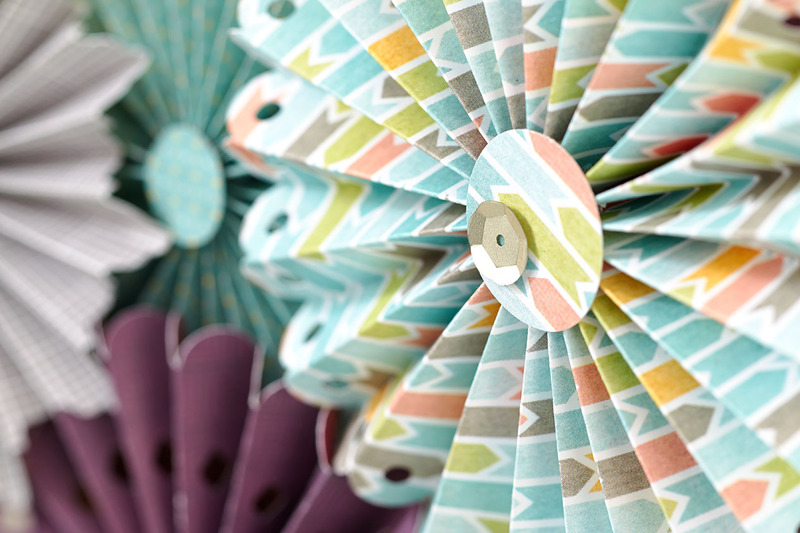 All of the yo-yo flower shapes were cut using the Cricut® Artiste collection and are simple to assemble following the instructions in the assembly booklet that comes with the collection. The flowers were then attached to a single piece of sturdy wrapping paper either directly or using 3-D foam tape to create the garland shape. After embellishing with a few playful sequins for that little bit of bling, the banner was hung inside a well-loved frame using Whisper thick twine. Whether you’re just trying to use up the last papers from a favorite paper packet or exploring bold color combinations of your own creation, there are lots of ways to combine different paper packets to create beautiful artwork! We’ve loved hearing your input on how you mix paper packets. Tell us in the comments which paper packets you’re going to try mixing next! X7199B Sangria Paper Packet, X7197B Zoe Paper Packet, X7203B Georgie Paper Packet, X5774 Eggplant Cardstock, X5752 Juniper Cardstock, Z2013 Sequins Silver Assortment, Z3095 Whisper Thick Twine, Z3170 Cricut® Artiste Collection. I love this! So simple, but so pretty and a lovely color combination:-) I love mixing all of our paper collections, maybe Charlotte with some Zoe next. Love this! It is so elegant and love the colors used. The pearl bowl and the vase are beautiful with the colors of paper flowers, Absolutely awesome! I love all the mixing and matching. I must give it a try.